‘In Vino Veritas.’ In wine, truth. A saying dating back at least as far as ancient Greece. It still rings true. What brings people together like an evening around a table, a feast, good wine? What’s better than a boisterous dinner conversation with close friends and family? 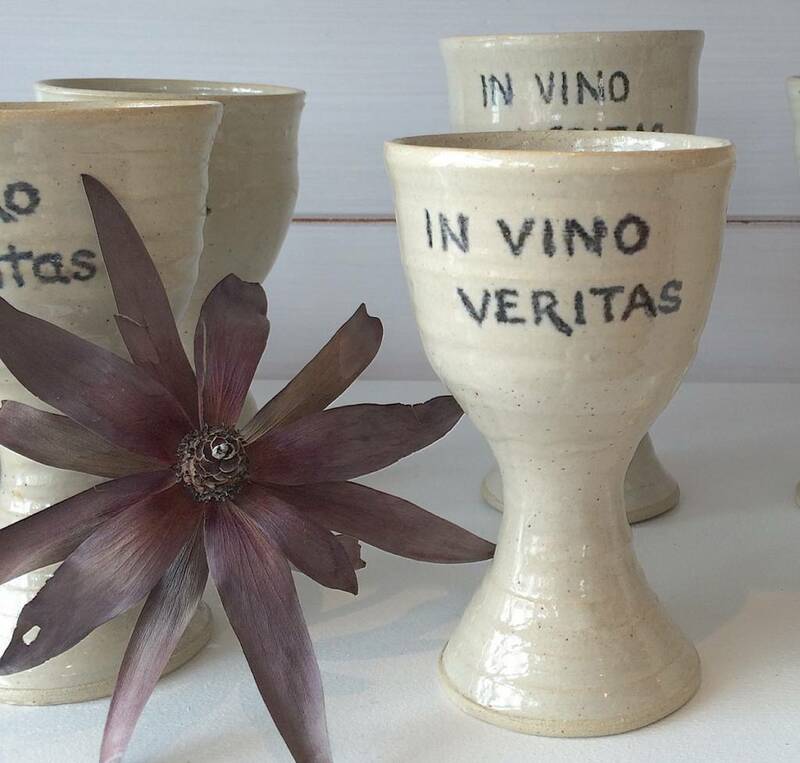 Our dear friend and local potter Doug Andrews brings the saying to life, hand inscribed on these charming wine glasses. A perennial favorite, he only makes a few every year. And we just got a new delivery! Check them while they’re hot! And brand new to the Doug Andrews lineup: The Rice Bowl! Certainly, we’re not going to go as far as to say he invented it, but you have to admit that it looks good turned and hand-glazed in classic Doug Andrews style. If you’re not familiar with Doug Andrews, here’s what you need to know: He is an icon in the city, still cranking out his craft at 89 years old. Possibly the coolest person you’ll ever meet. Spend an hour with Doug and you’ll learn history, art, culture, style. You might even get a few lines of poetry! In any case, his work is beautiful and timeless. A perfect fit for your kitchen, banquet. 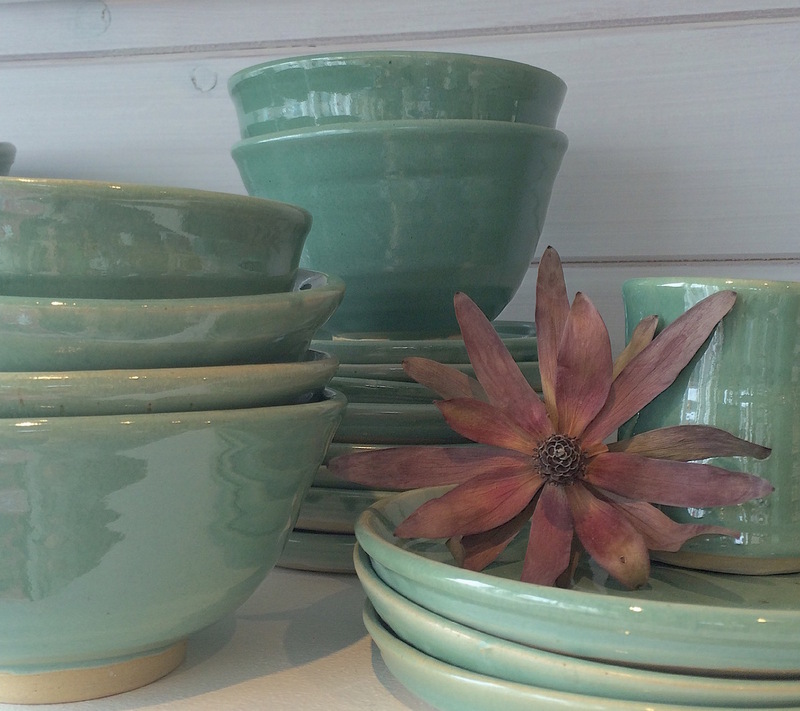 Next time you’re entertaining, your guests will be asking about your new handcrafted dishware.